Chelsea legend John Terry posted on his Instagram last night as Belgium struck a late winner to beat Japan in a 3-2 thriller at the World Cup. Having gone 2-0 down early in the second half, Roberto Martinez’s side mounted an incredible comeback, which included a stoppage time winner from Nacer Chadli. The former Tottenham man finished a flowing counter attack that involved superb play from two former team-mates of Terry who were bizarrely never given much of a chance during spells at Stamford Bridge earlier in their careers. The move was started by a current Chelsea man as Thibaut Courtois claimed a Japan corner and threw the ball out to Kevin De Bruyne, who charged up the field before playing the perfect pass to right-back Thomas Meunier. Meunier then crossed for another former Blues ace in Romelu Lukaku, whose clever dummy allowed Chadli to race into the box and slot home. Still, with Terry’s long-time connection with Chelsea he must be even more baffled and frustrated than most at his old club failing to recognise the world class talent of De Bruyne and Lukaku while they had them. 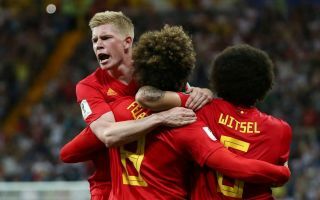 The pair are now at Manchester City and Manchester United, respectively, and are tearing it up for Belgium in this summer’s tournament in Russia.